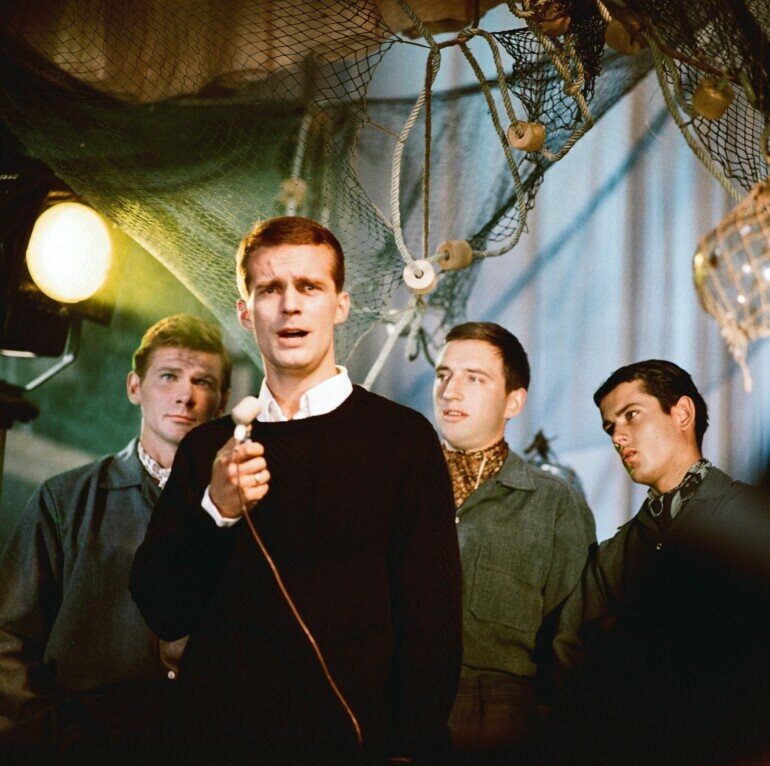 Rolands Kalniņš almost prophetically predicted the destiny of his film, FOUR WHITE SHIRTS, by presenting an ironic view of hidden censorship functions in the soviet system in a musical drama about a rock group who gets banned. Banned in Soviet Latvia for two decades, the newly restored version will be showcased in this year’s Cannes Classics. Behind the Iron Curtain influences of the avant-garde and Nouvelle Vague made their way to Latvia resulting in FOUR WHITE SHIRTS. Telephone assembler, self-made poet and composer Cēzars Kalniņš (Uldis Pūcītis) puts together a band, but their outspoken lyrics begin to draw criticism and cultural worker Anita Sondore (Dina Kuple) finds any obstacles to put in their way to stop their public performance.